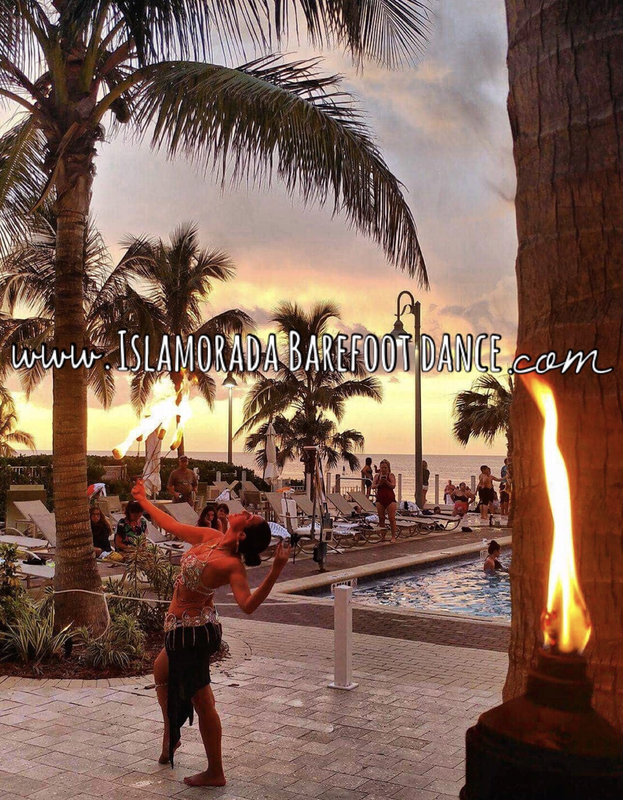 Key West Fire Entertainment - Islamorada Barefoot Dance Studio provides Fire Eating, Fire Dance, Polynesian Fusion Luau Fire Show, and Bellydance Entertainment for Weddings and Event. Pricing varies depending on location, holiday, and group size. Please contact us for accurate pricing. This performance will take a total of thirty minutes with set up and photo time Included. The actual performance will be fifteen minutes. The performance begins with unveiling of performer from with in shimmering LED Wings. 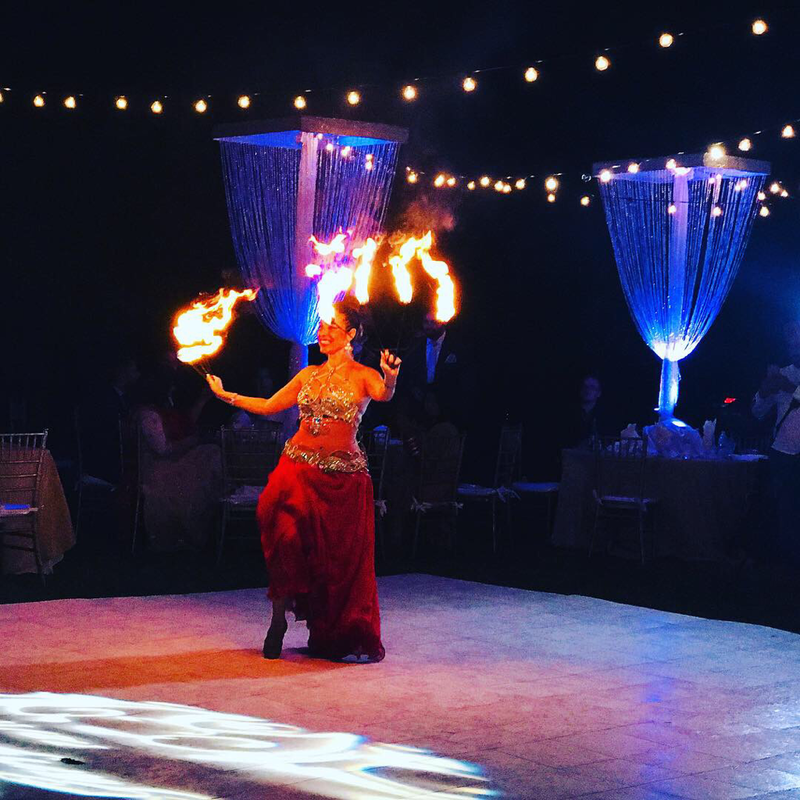 The set includes Fire Sword, Fire Eating, and Fire Fans. This performance will last a total of fourty five minutes with set up and photos. The actual performance will be thirty minutes. The performance begins with unveiling of performer from with in shimmering LED Wings. The set includes Fire Sword, Fire Eating, Fire Fans, Fire Palms, Fire Staff, and Drum Solo. This performance will last a total of one hour with set up and photos. The actual performance will be fourty five minutes. The performance begins with a fire sword dance. The set includes Fire Eating, Fire Fans, Fire Palms, Fire Staff and Drum Solo. The LED Wings performance will occur at mid performance when the performer will dance around the audience and pose for pictures.